^ a b Leduff, Charlie (June 9, 1996). 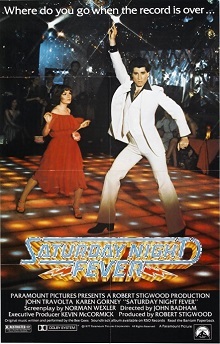 "Saturday Night Fever: The Life". The New York Times. Retrieved 2010-05-23. ^ Richards, Chris. "Library of Congress adds 'Saturday Night Fever,' Simon and Garfunkel, Pink Floyd to audio archive – San Jose Mercury News". Mercurynews.com. Retrieved 2013-06-06. ^ Gold, Aaron (1979-03-27). "Tower Ticker". Chicago Tribune. pp. A7. 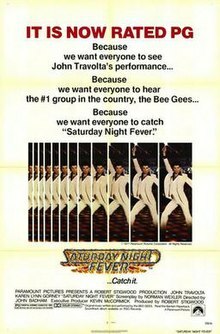 ^ "Critics' Corner – Saturday Night Fever". Tcm.com. Retrieved 2013-06-06.